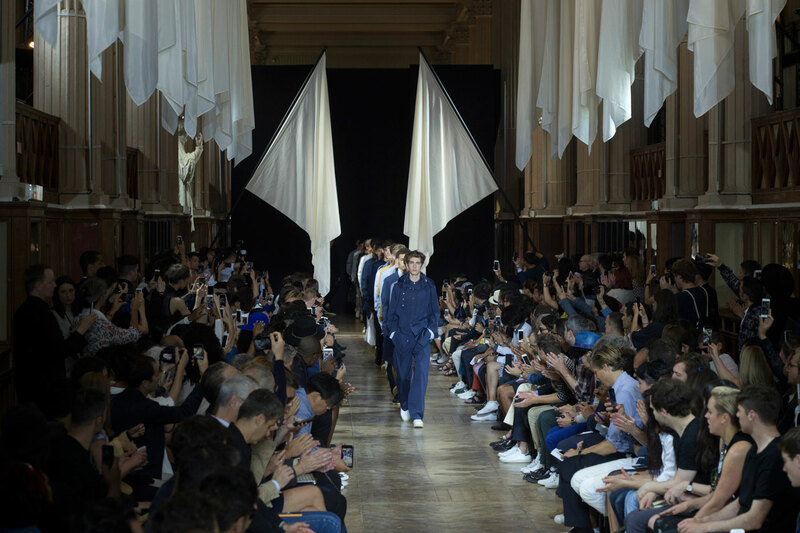 This collection mainly consists of smart, casual pieces; and its transition on the catwalk is seamless. 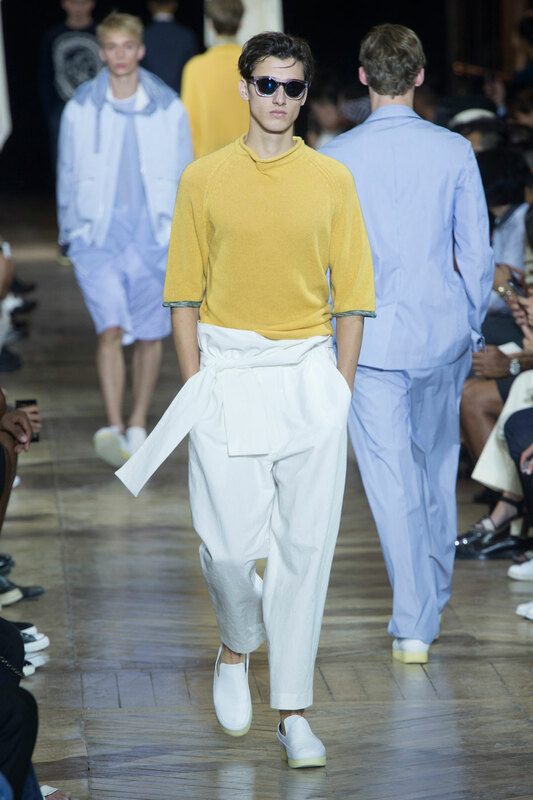 Introducing each new colour scheme, garment and print in a truly effective and pleasing manner. 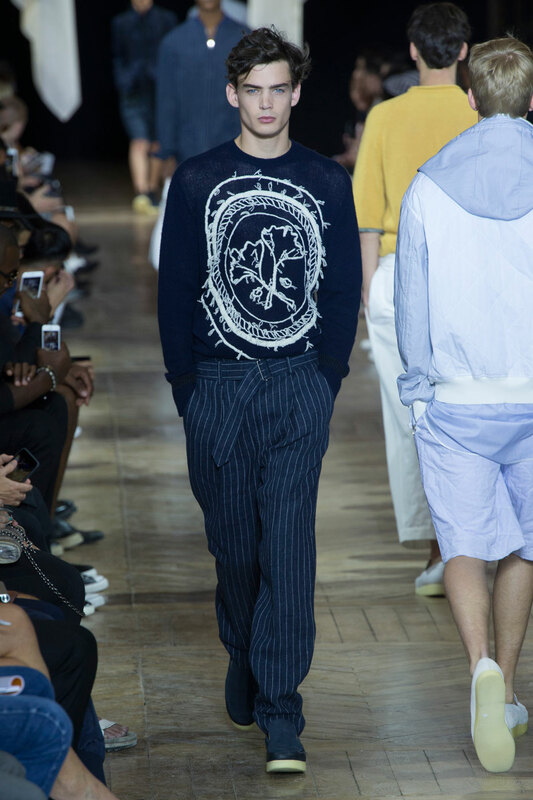 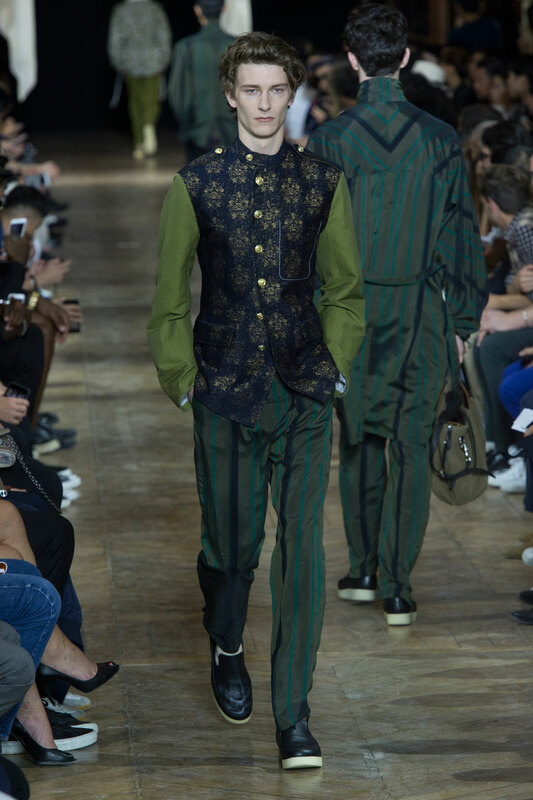 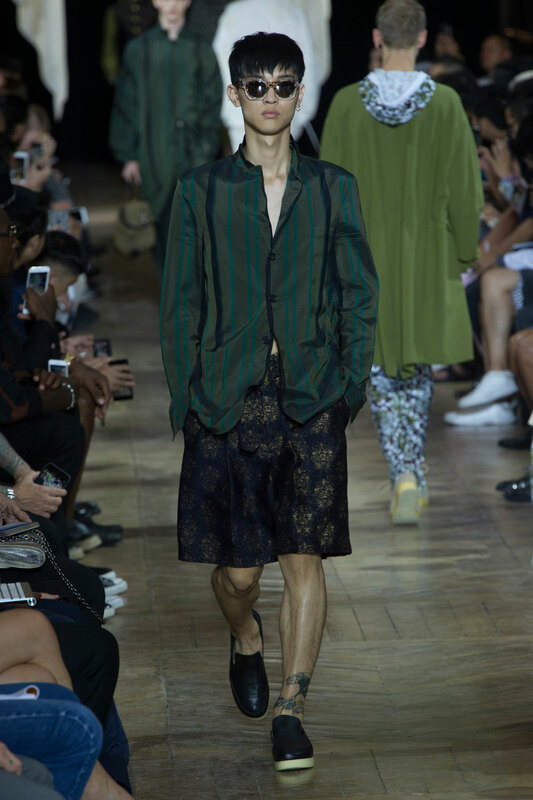 Lim exceeded himself in his introduction to kaki pieces, paired with the bright and attractive paisley prints; the contrast between the beautiful rich tones of the block colour and the intricate detail of the paisley complement one another exquisitely. 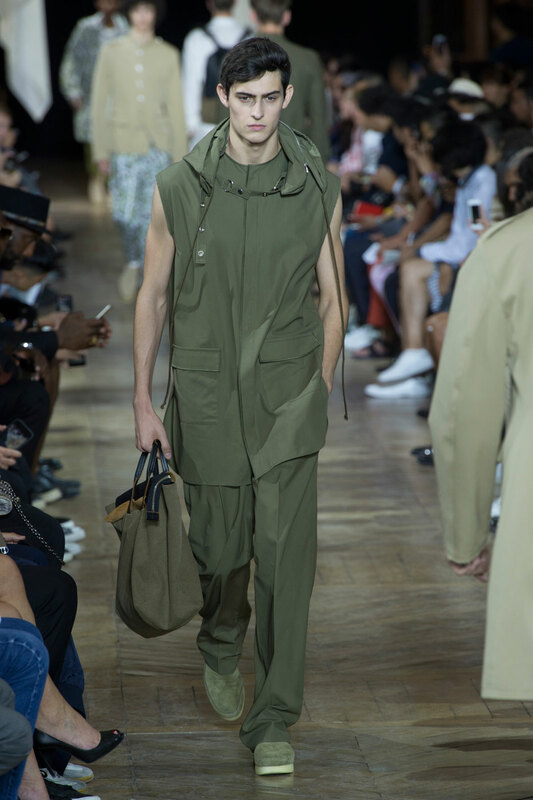 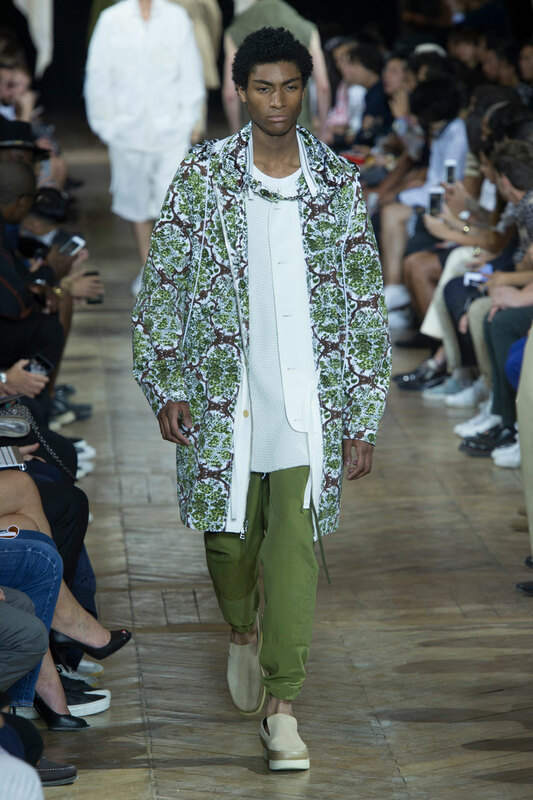 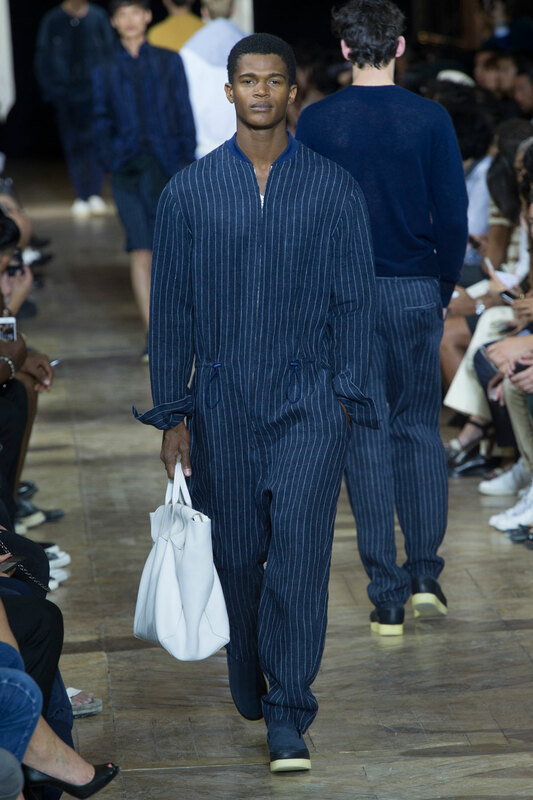 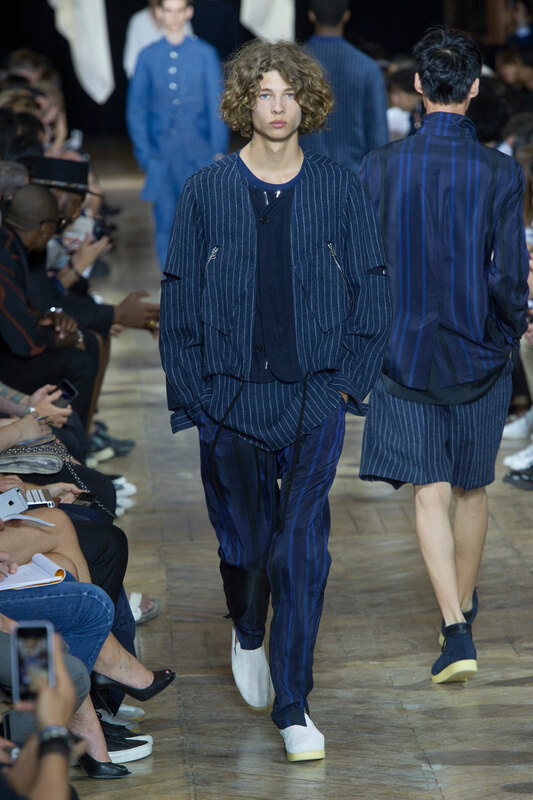 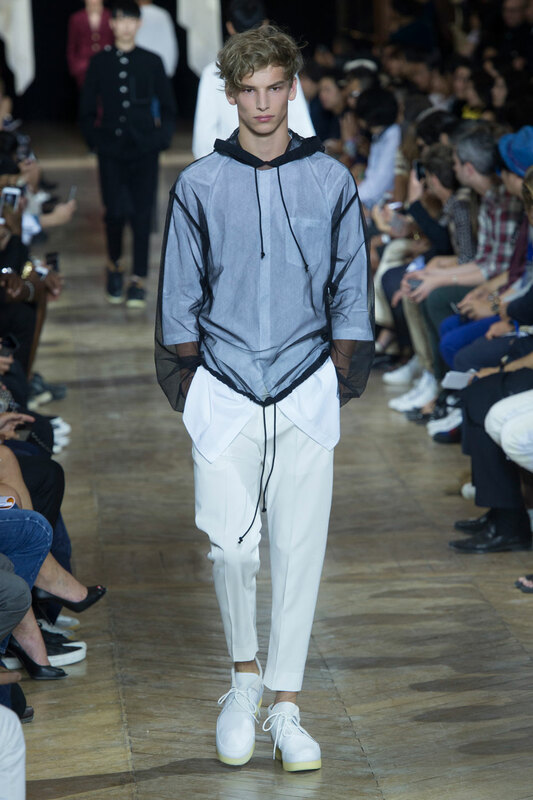 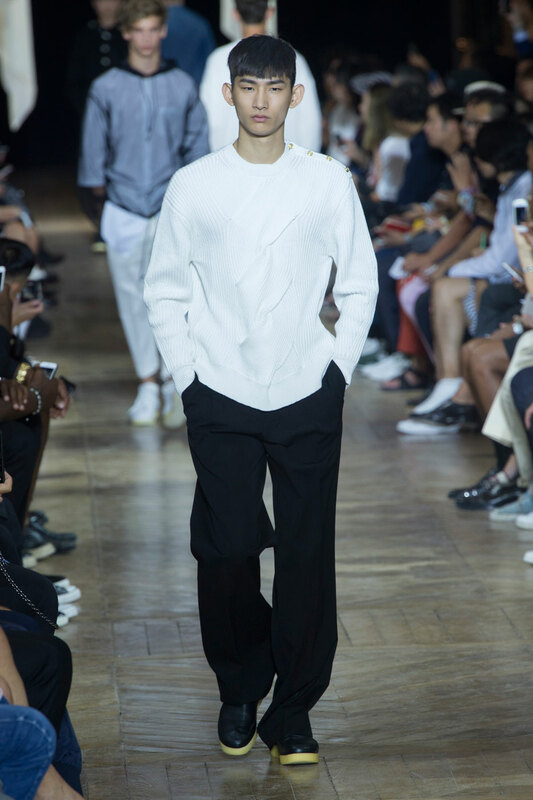 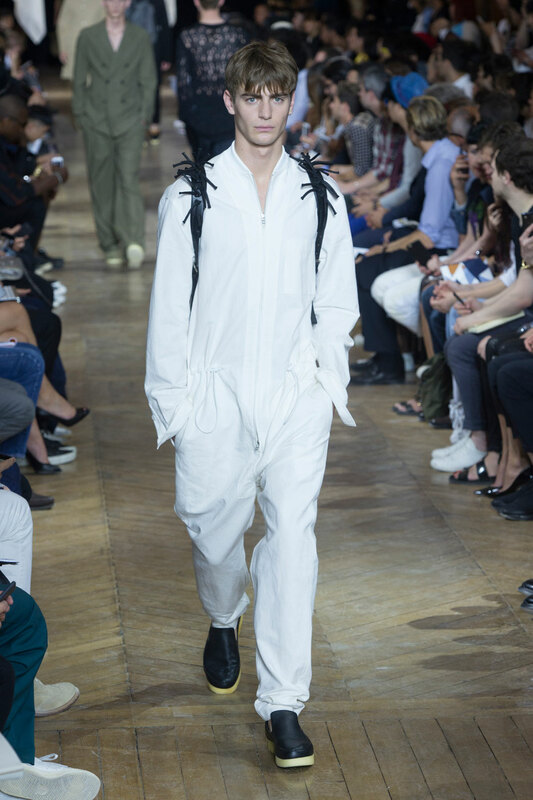 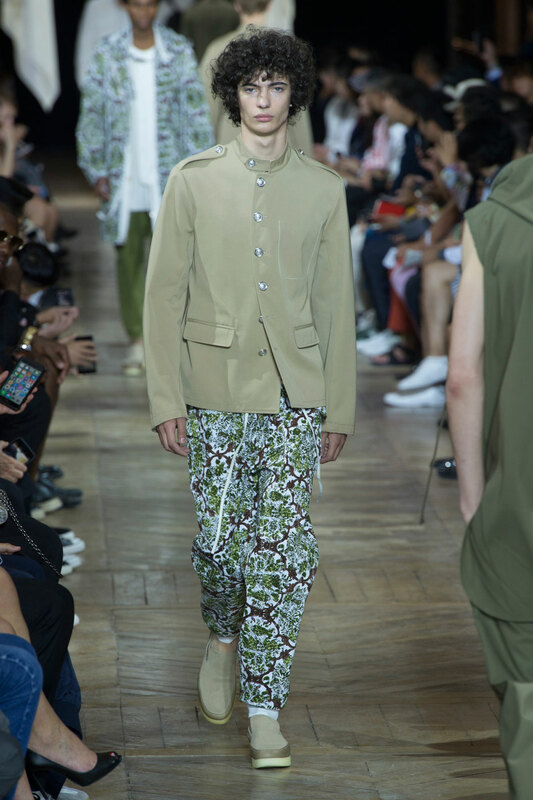 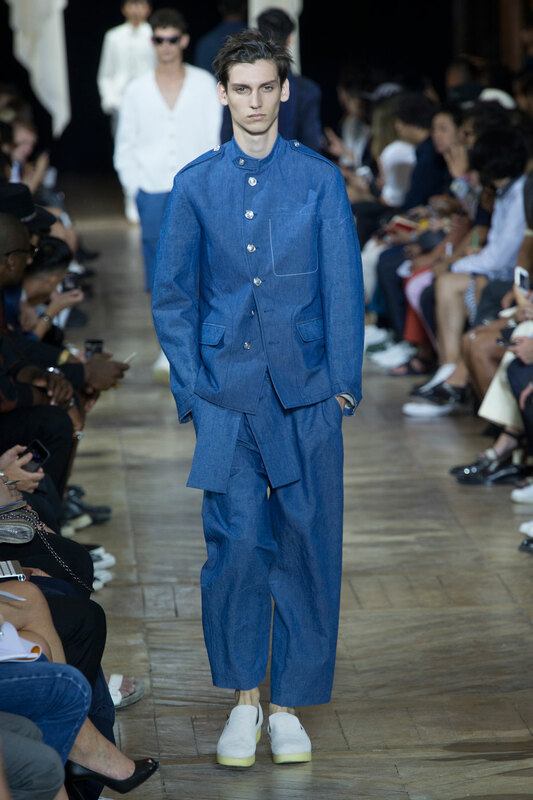 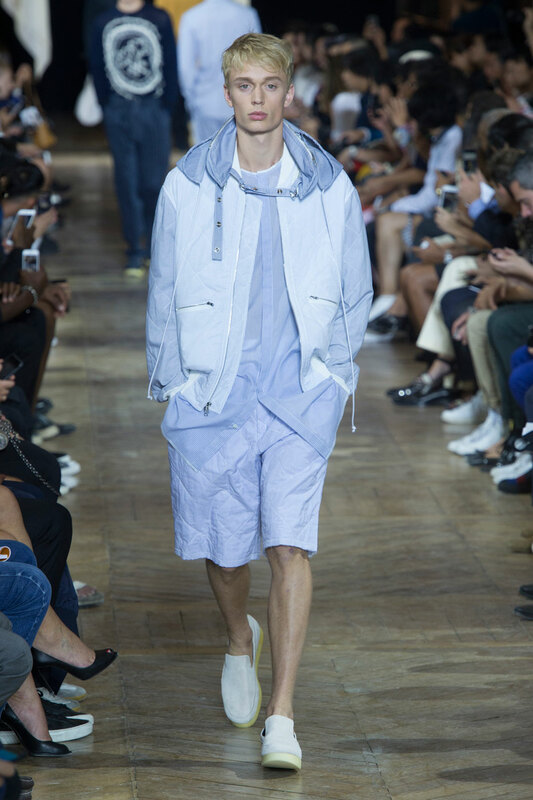 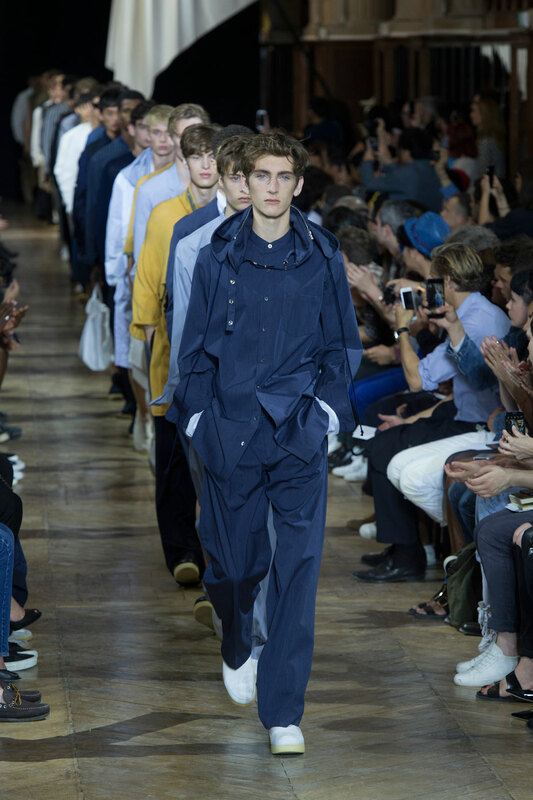 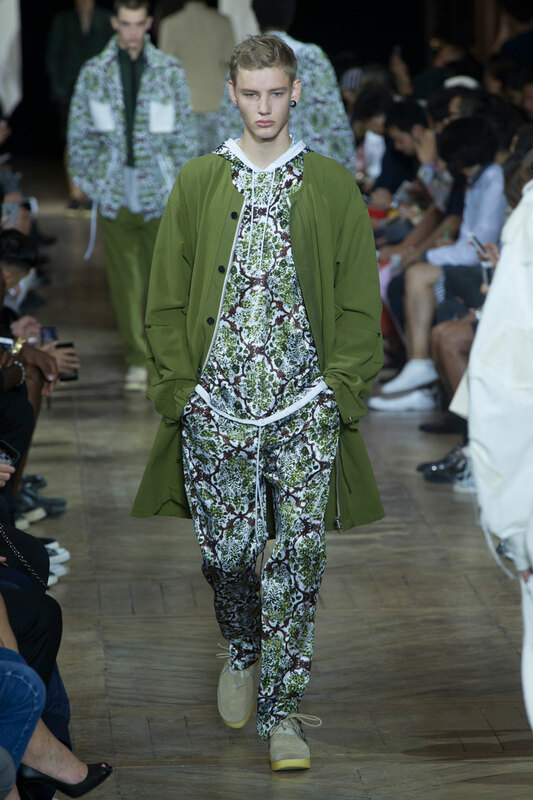 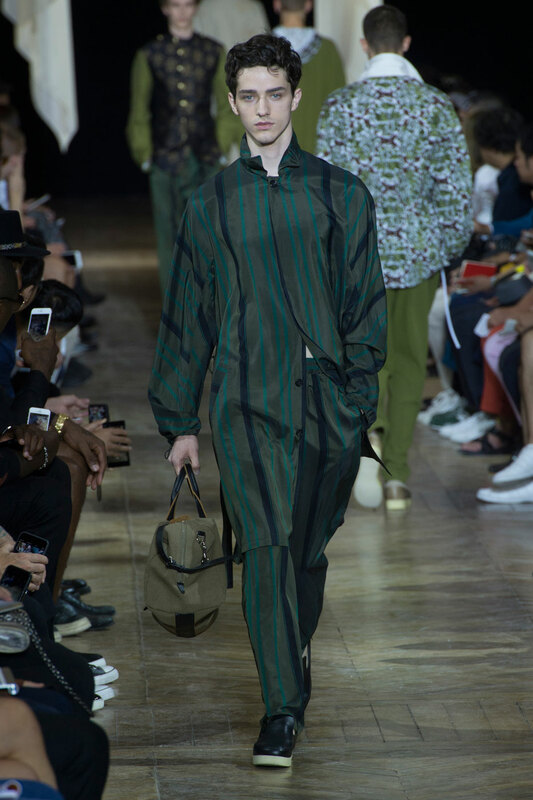 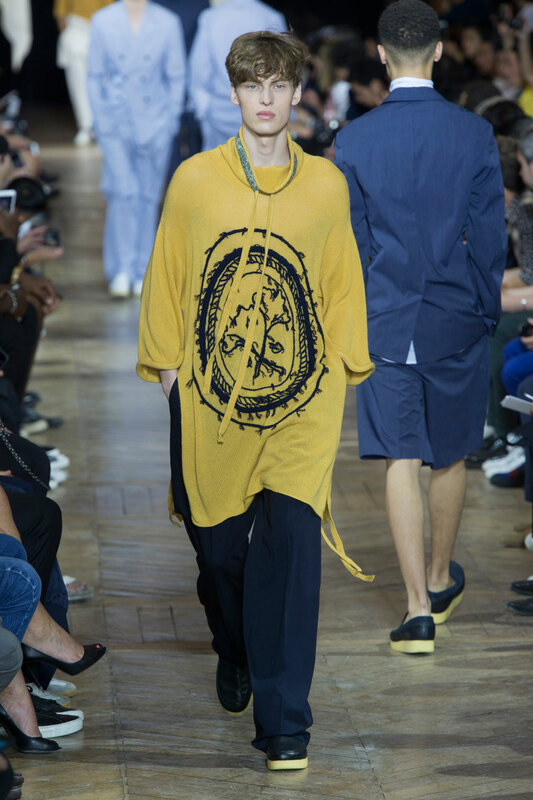 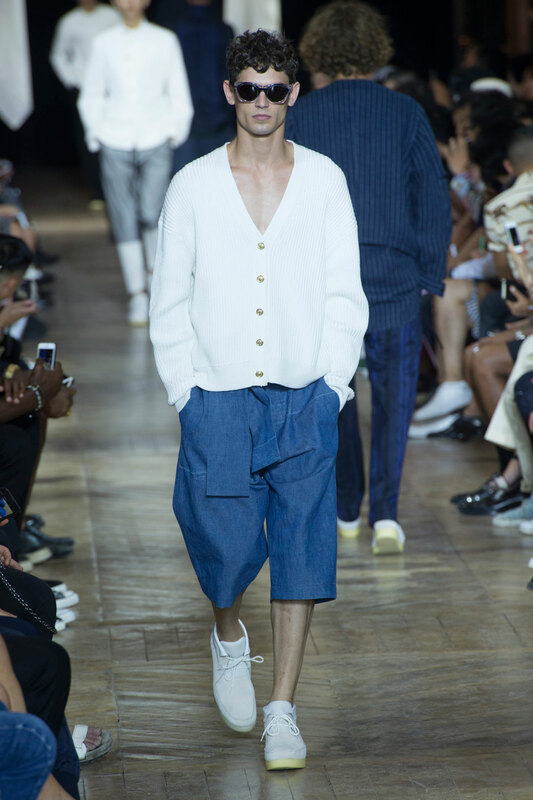 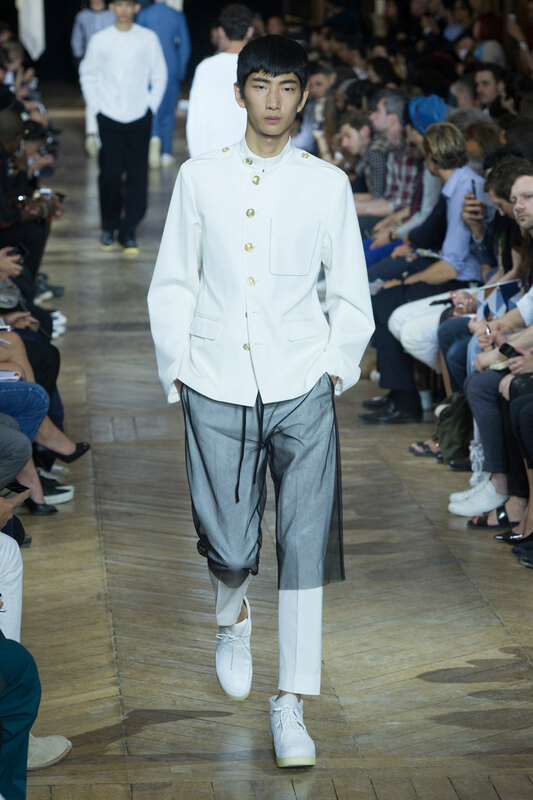 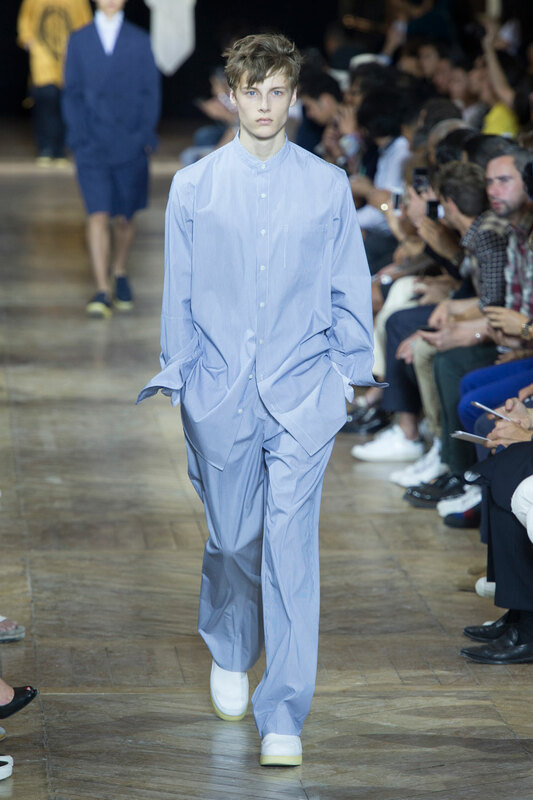 The garments used in this collection are generally of an oversized, loose fit; including the trousers and shorts. 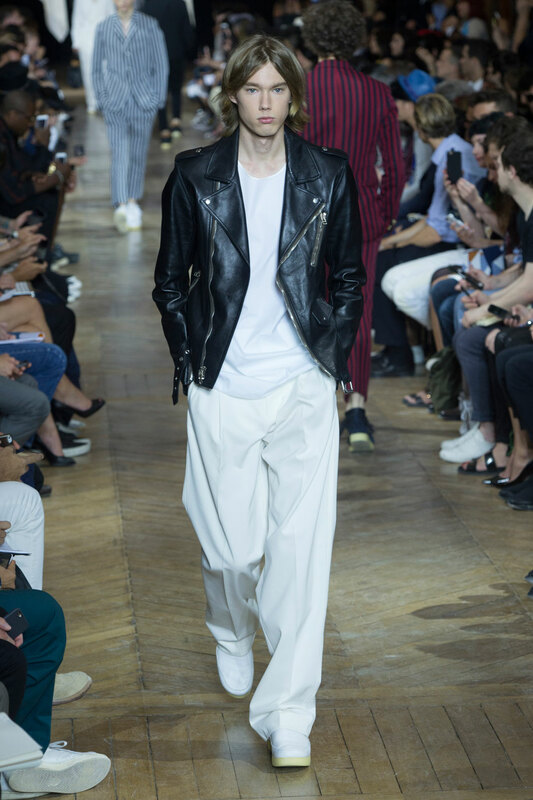 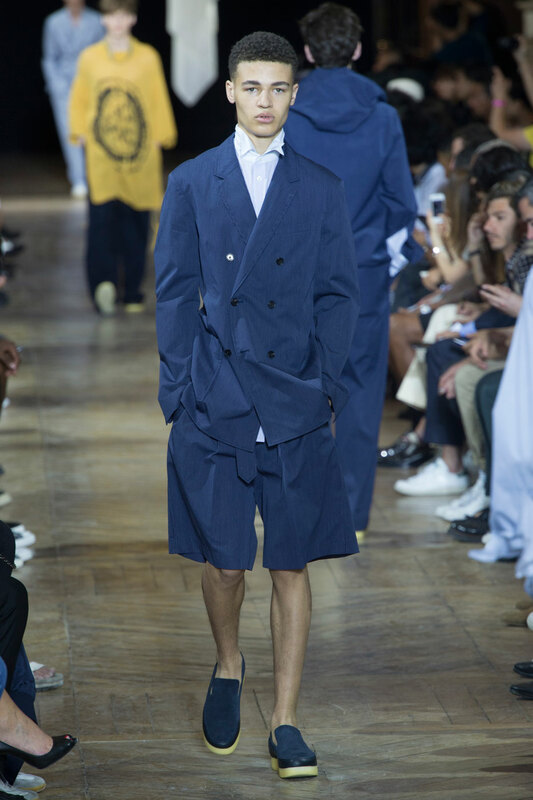 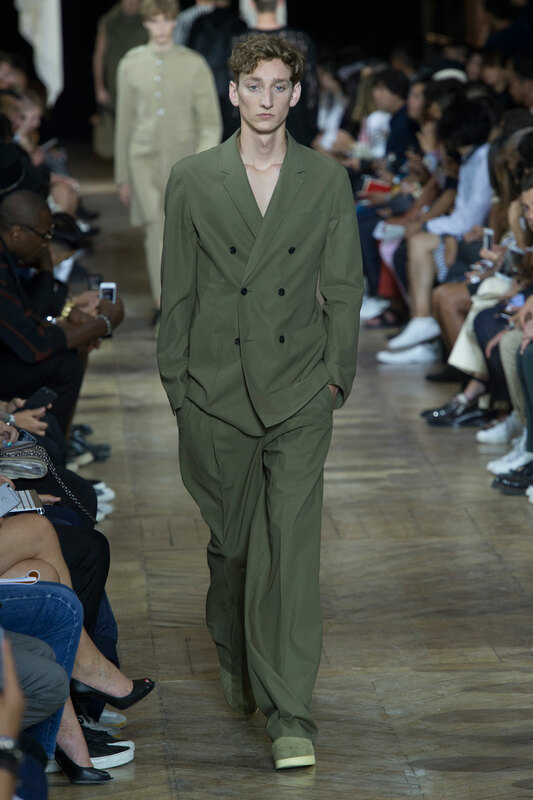 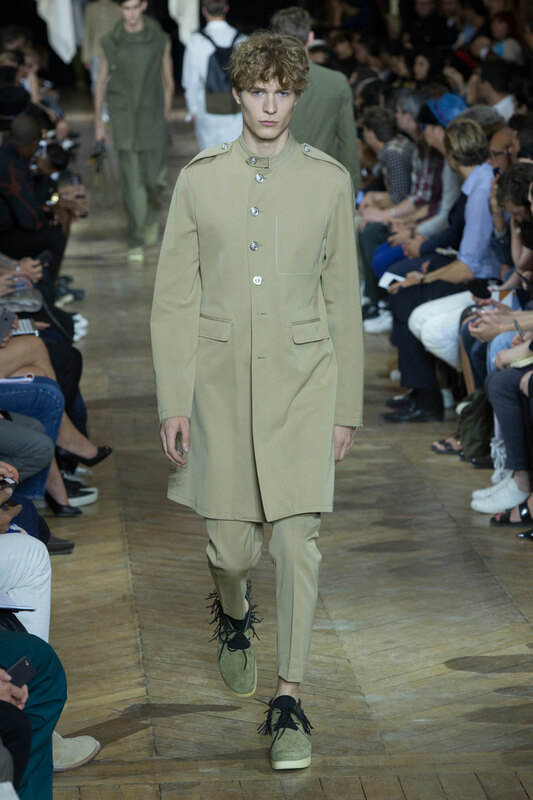 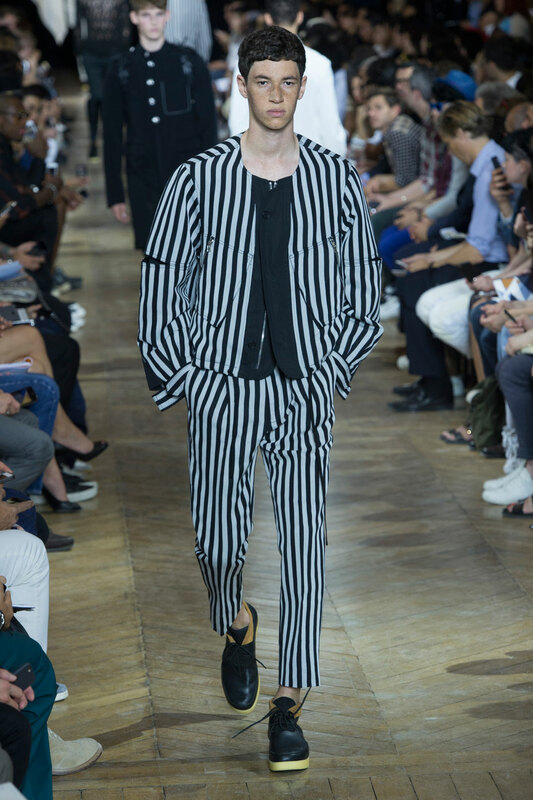 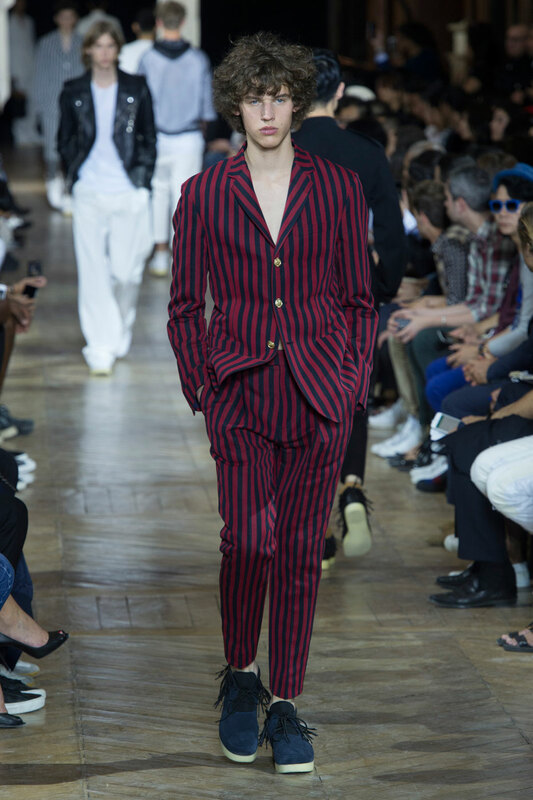 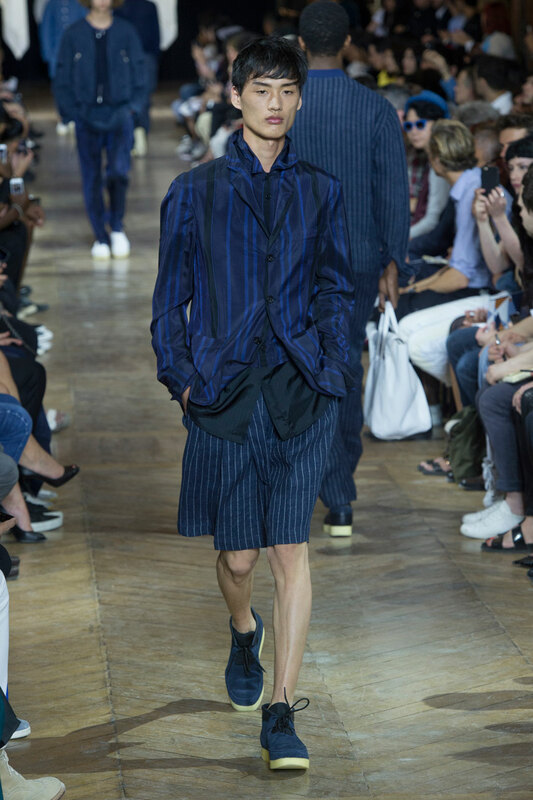 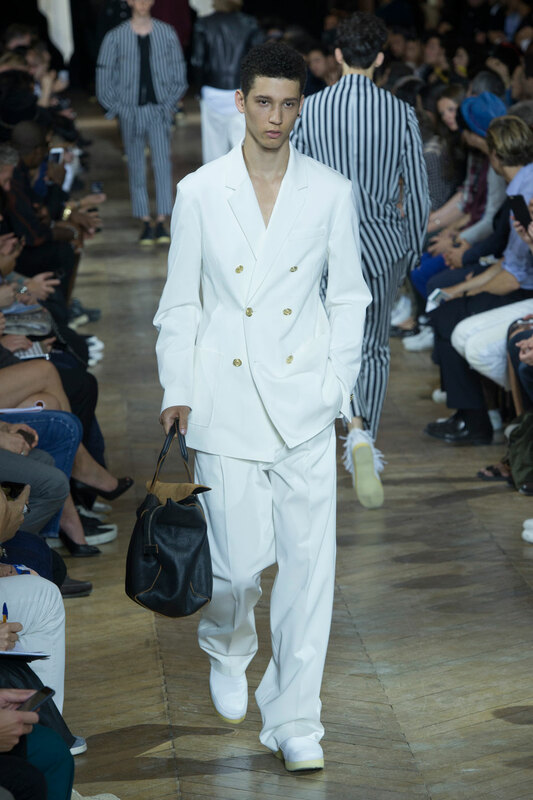 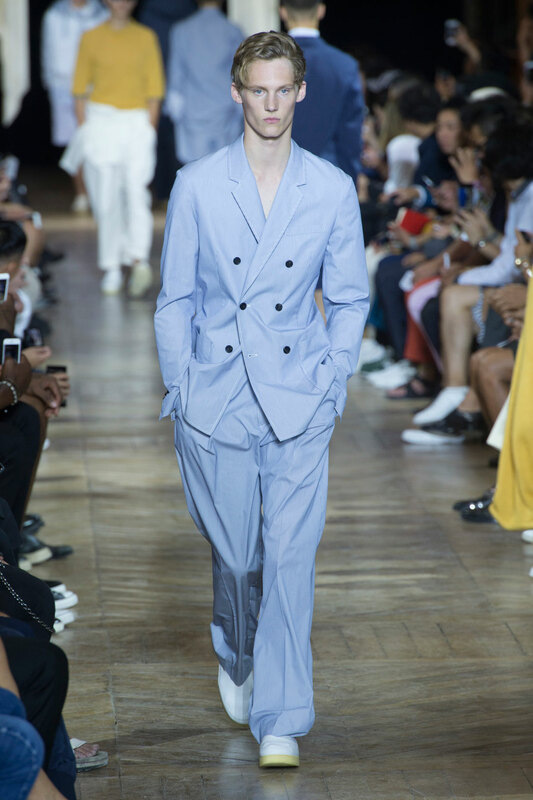 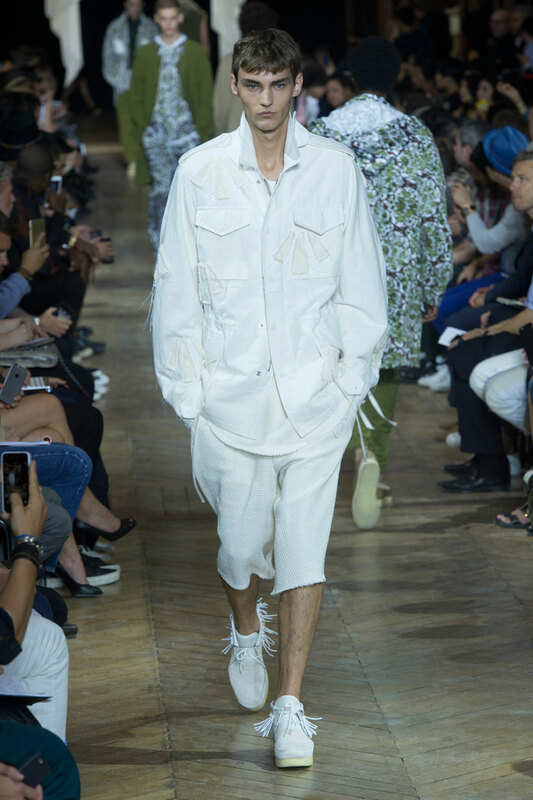 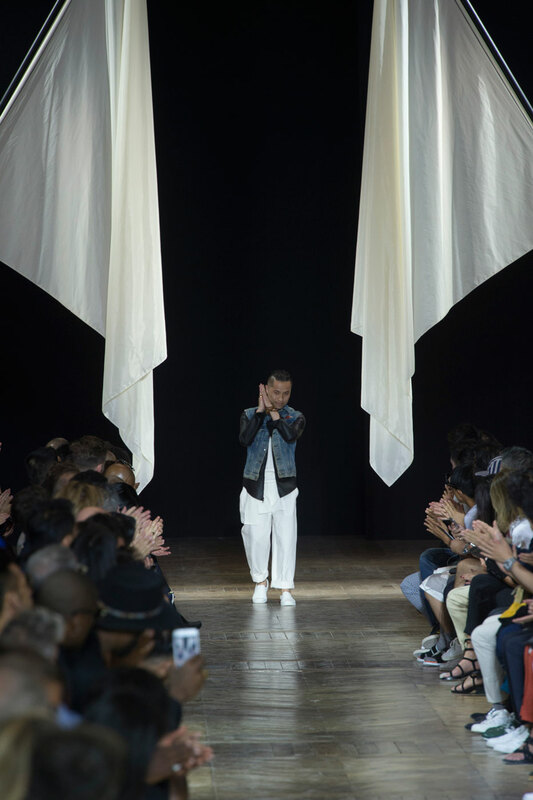 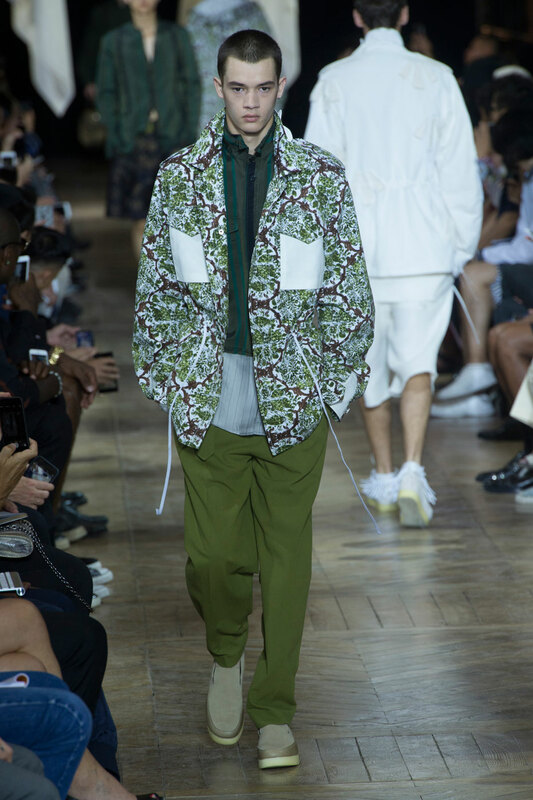 A longer length is important throughout this collection as Lim provides this through the shirts, coats and jackets used throughout. 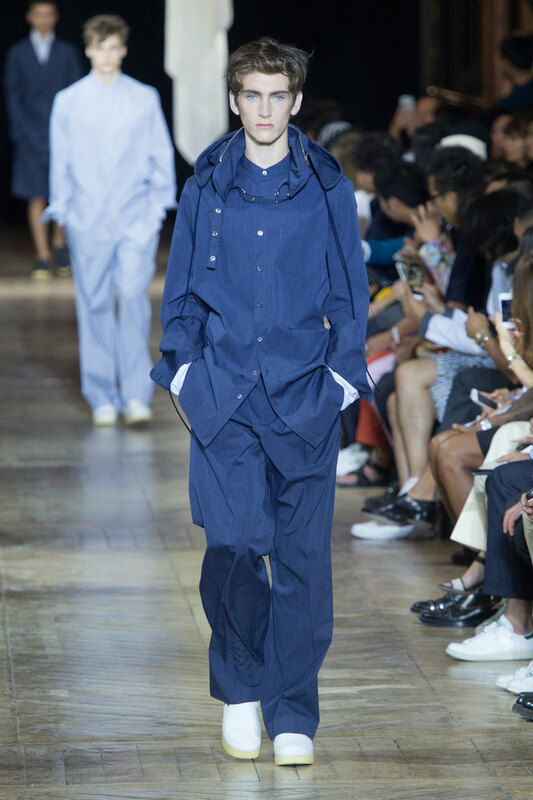 Lim gives these oversized pieces a modern, fashionable twist; by opting for skinny collars and double breasted finishes. 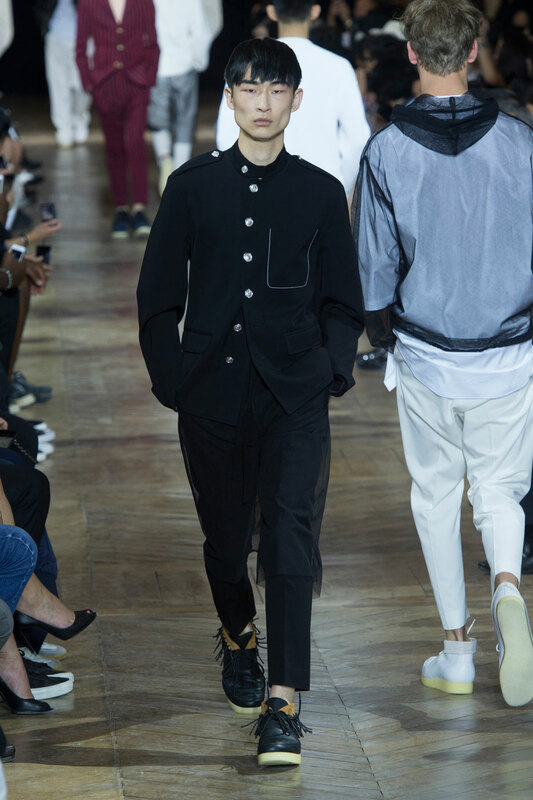 The collection offers a grungier aesthetic by Lim’s use of black mesh overlay, against the crisp white piece underneath. 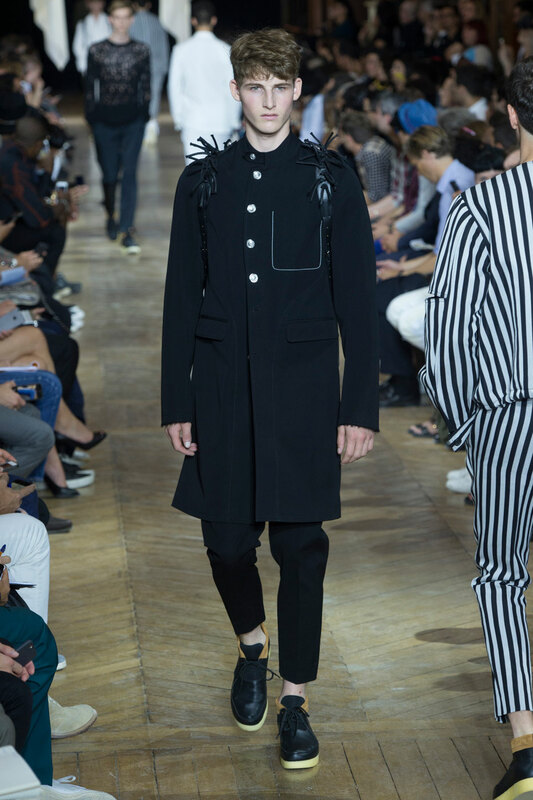 He again offers this difference in texture and hint of a darker essence through his use of dark leather tassels, which he’s added to the shoes and bags.